Choose tack that have been designed and tested by horseman specifically with your horse in mind. Our double braided polyester rope has been designed to make horse tack from, not all marine ropes work well for the equine world. Don't mistake the price for quality, since I buy directly from a mill here in the United States, there is no middle man, therefore I can offer my tack at a cheaper price for exceptional quality. 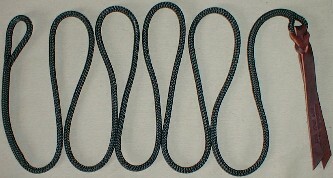 * firm or soft and durable unlike cheap halter cords and webbing, Polyester will not harden or powder with age. It is unaffected by water, will not rot, mold or mildew and is resistant to most acids and oils. Cheap polypropylene halter cords and webbing have a much lower breaking strain (about 30% less) and lose another 30% per year through age. Polyester ropes lose only 3% per year making ropes that can be relied on not to break. * fully washable when it gets dirty just throw it into the washing machine to look good as new. Polyester can be washed with normal household detergents in warm water. 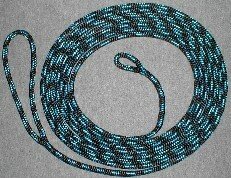 * color fast will have only minor fading over the long life of the rope. * low abrasion polyester produces less friction so that means a greatly reduced chance of rope burn and less abrasion on your horses skin. Combined with a comfortable weight in the hand our Double Braid rope is perfect for all natural horsemanship techniques. * 100% polyester that will be kind and strong, last many years. 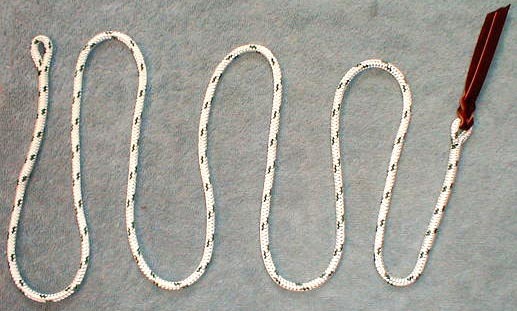 Polyester is the material that most marine ropes are made from and is used on the outside jacket of climbing ropes to protect them from abrasion. Even high-tech exotic ropes like spectra use polyester to protect them from wear and UV light. Handcrafted Jewels Rope Horse Tack has been personally using and hand making tack here in the USA with PRIDE since 2002. We know what excellent quality rope is and are excited about working with a mill to produce rope made for the equine industry. We are excited that we can still carry our complete color line since switching to the new mill. 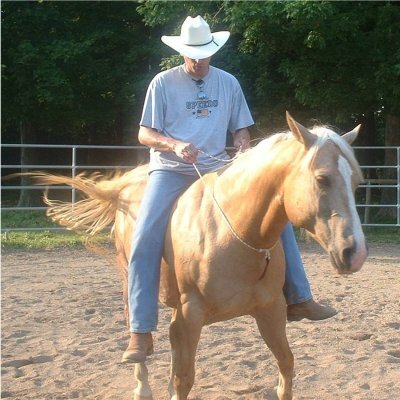 Here are the reasons to purchase your horse tack here. 1. With us you get the best quality at the best value! 2. All rope and tack is Handmade and Handcrafted in America! 3. If you can find the same quality at a better deal we will match it! These sticks do not come with a Guarantee. 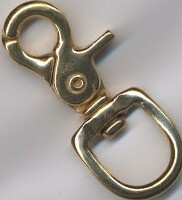 These also make great catch ropes, leads in a pinch, and a longer line to your horse as you progress in training! Please don't forget to add a SNAP for your String if you are going to use it for a Line! Featuring a loop and a handle. Great for working with Horses, keeps you at a safe distance! We have found a million an one uses for this stick.